Mr. Ismail Usuf holds a Masters in Business Administration Degree from IBA, Pakistan. 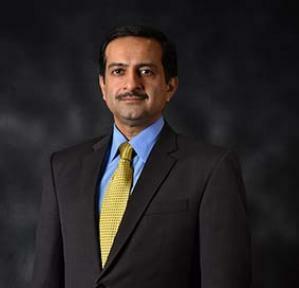 He is Executive Vice President at National Bank of Pakistan working in the Treasury and Capital Market Group. Mr. Usuf was previously employed at Faysal Bank where he was Assistant Vice President of Treasury. 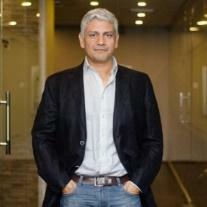 Mr. Malik is an Entrepreneur & Investor with over 20 years of experience in the Financial Sector. He has a Bachelors with Honors in Finance from Florida Institute of Technology, USA and was previously employed as an Advisor to Bank Alfalah Limited; where he was responsible for independent oversight of the Bank’s Financial Services (Brokerage) Subsidiary. He has served as the Head of Capital Markets at Pak Kuwait Investment Company for over 6 years, & was also appointed as a Senior Member of the Privatization Commission for over 3 years, in addition to being nominated by SECP as a Director at PSX. Mr. Abbas holds a Bachelor’s Degree in Physics from Lock Haven University of Pennsylvania, USA and a Masters Degree in Industrial Engineering from New Jersey Institute of Technology, USA. He is a Senior Consultant with International Finance Corporation (IFC) and has over 20 years of professional experience. He was previously employed as a Vice President with Citi Bank for over 10 years, and was also one of the key founding Members of Tameer Bank. He has also served as Group Executive Director for Operations and Technology, and headed Mobile Banking in addition to being CEO of Monet Pvt Limited along with 2 years at Standard Chartered Bank for Business Development. Mr.Abdul Rahim is EVP/Divisional Head-Financial Control Group at National, Bank of Pakistan. He is an FCA & ACMA and holds experience of over sixteen years of Financial Reporting , Taxation, Audit and has exposure of largest accountancy firm PWC A.F Ferguson & Co Chartered Accountants. Mr. Muhammad Faisal Israr is Vice President at Saudi Pak Industrial & Agricultural Investment Company Limited, having Multifaceted Financial Services experience in Portfolio Management, Mutual Funds, Credits, Investment & Commercial Banking and Research experience in Parliamentary services. Mr. Israr holds Master's Degree from National Defence University, Islamabad and Bachelor Degree from IBA Karachi in the field of Business Administration. He received trainings at national level in Six Sigma, SAP, Business Continuity Management Fundamentals, Fund Management, Financial & Investment Decision-making, Credit Risk Management, Corporate Social Responsibility and Ethics from accredited institutes. Mr. Muhammad Atif Hanif, EVP/GH – IBG, holds a 4 years Bachelors Degree in Business Administration from National University, Los Angeles, California, USA and Bachelors degree in Mathematics & Statistics from Edwards College, University of Peshawar, Pakistan. 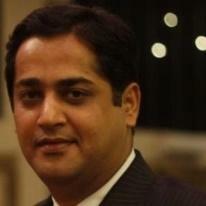 The professional career of Mr. Muhammad Atif Hanif is spread over 20 years. Prior to joining the Banking sector, he worked for a leading Corporate Brokerage House providing a wide range of services, including Corporate Structured Finance, Money & Equity Markets Trading and Economic & Corporate Research.